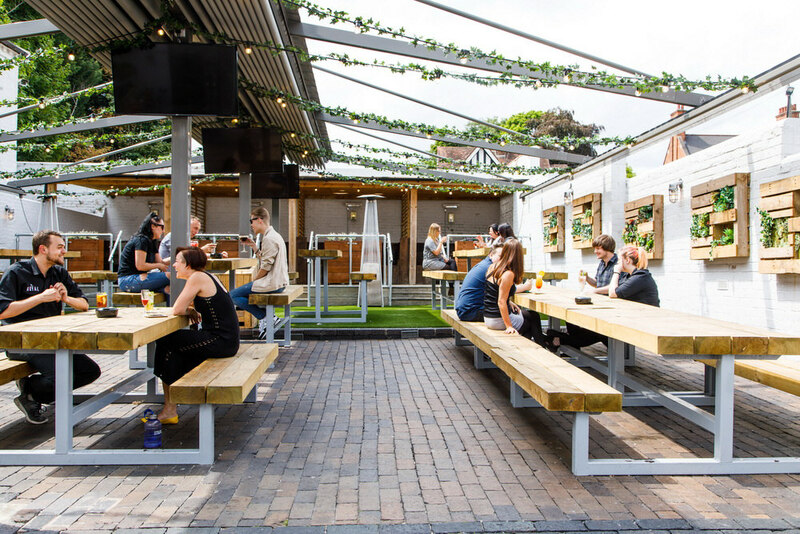 Fancy a drink or a bite to eat outside, we’ve got you covered, literally! It’s a must being in the UK. Our walled astro-turf, flooring and an all-weather retractable roof offer the perfect place to relax and get some air. Featuring roofed booths made of reclaimed Scaff-holding boards, they’re perfect for a good get-together. If it’s a bit chilly, don’t worry we’ve also got heating elements out there too.